Ever heard of Julia’s Best Banana Bread? 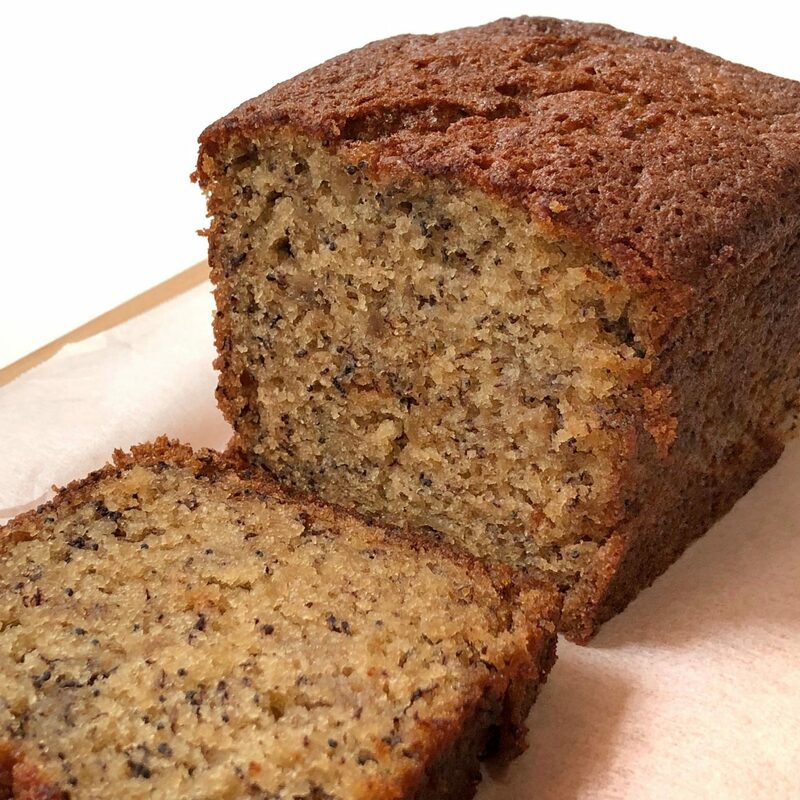 I’m sure most of you who visited Hawaii or Maui would have at least tasted one of the Island’s best banana bread…. 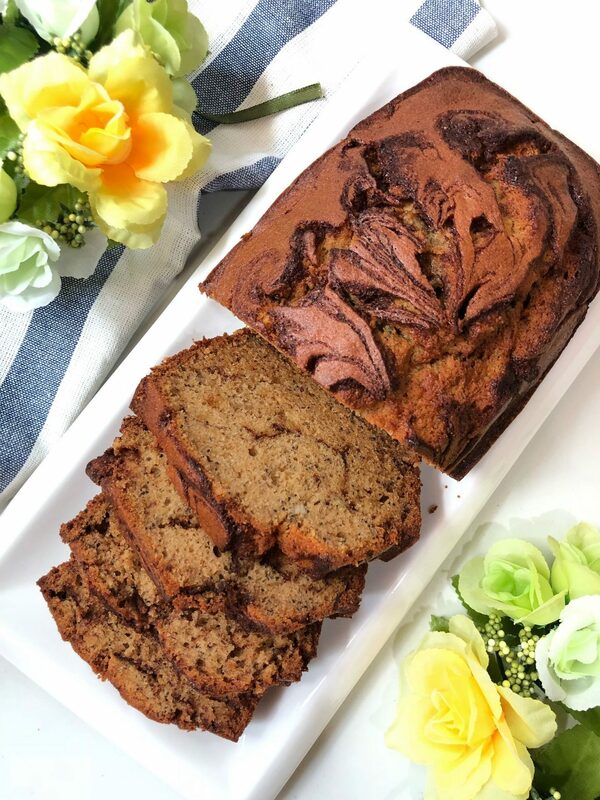 If not there’s always Second best- Bon Appetit’s banana bread recipe. Judging by the number of 4-5 stars reviews, It has to be good right? Ok I gotta admit, a search on Julia’s best banana bread recipe lead me to this. Although I heard that Bon Appetit recipe still falls short of the ones at Julia’s best banana bread, I was determined to give this one a go. Oh how much I miss the banana bread at Julia’s banana bread shack. I did a few minor tweaks to the recipe so feel free to visit the Bon Appetit’s site for the original recipe. The recipe calls for castor sugar, but I did a half brown sugar and half castor sugar, like I always do for my loaf recipes. 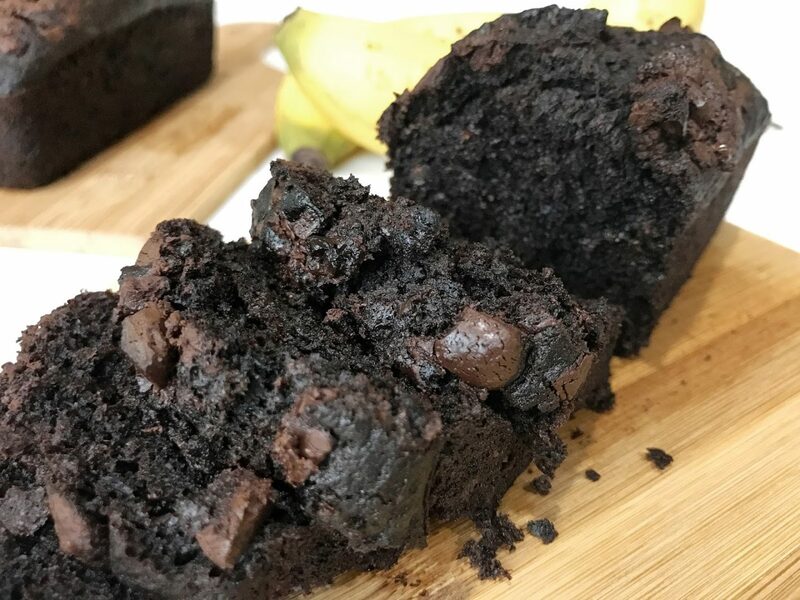 So what did I think of this banana bread recipe? Was it a close match to what was sold at Julia’s? It was pretty good but I must say it’s not a 100% match. The ones at Julia were darker in colour. I assume it is the sugar they used to get that caramelized brown colour. 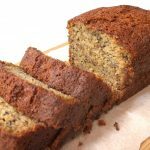 When my husband first tried the banana bread at Julia’s, he thought it had rum in it. It had a bitter after taste ( The bread near the ends and the crust). Anyway, this banana bread was still a popular dessert in the house. Everyone said the texture was good. If you see those tiny little specks in btw the cake, NO it is not vanilla beans, it’s poppyseeds. I know I know for the umpteen times that you saw poppyseeds in my loaf recipes, like this Cinnamon Swirl Banana Poppyseed Bread or this Moist and Fluffy Poppyseed Bread, I CANT stay away from them! It’s like how chocolate hooks you and leaves you craving for more when you think of desserts. Baking loaf cakes makes me think of Poppyseeds. It’s not a bad thing right? 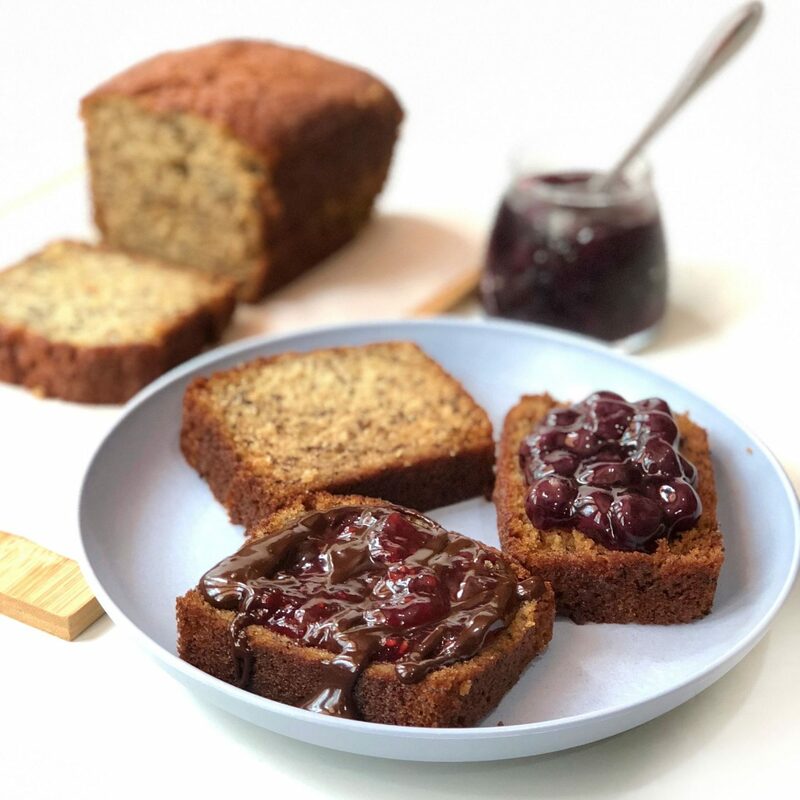 Do you like your Banana Bread Plain or prefer your Banana Bread with Dark Chocolate & Raspberries or Banana bread with Blueberries? 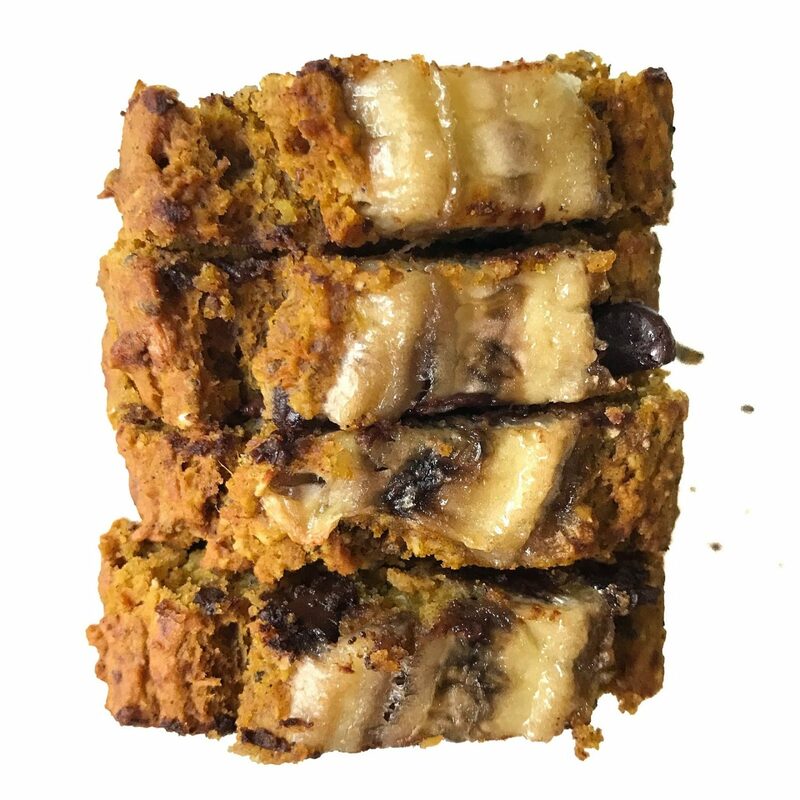 I like a mixture of fruits, Nut butter, Chocolate as a spread whenever I eat banana bread. If you toast the banana bread in the oven for a few mins and spread them with a layer of butter, it’s even more heavenly. How do you enjoy your banana bread? Let me know in the comments section below. 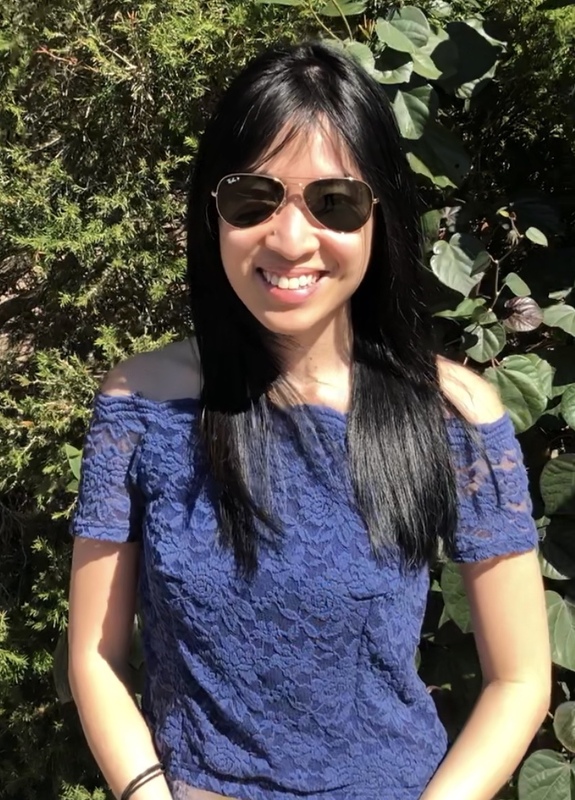 Feel free to hashtag #sherbakes or tag me on Instagram @sherbakes so I can see all your yummilicious desserts or ( Julia’s Best Banana bread) recipes! YAY. Add mashed bananas, oil, brown sugar, castor sugar, banana essence and eggs into another bowl and beat until light and fluffy. I beat for approx. 1-2 mins. Mix flour mixture into egg mixture and whisk until smooth. Do not over mix. Bake for 30-40mins until toothpick inserted comes out clean. At the 20 min mark, if top of cake is browning too fast, cover the top of the cake with aluminium foil or place a tray on the top rack to prevent the top of the cake from over browning.